November is best-known as the month when one of the biggest holidays of the year – Thanksgiving – takes place. However, November is also host to some other well-known national holidays, such as Veterans Day, and some less well-known ones, like National Deviled Eggs Day. 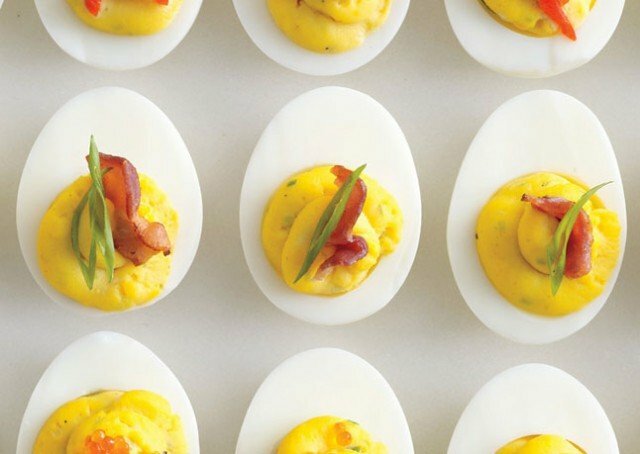 “Deviled” refers to the spices used to make the eggs. The dish has its origins in Europe – ancient Rome – but is pretty popular in the southern US. Another name for deviled eggs is eggs mimosa. This dish is a traditional favorite in both American and French cultures. Deviled eggs are made with hard-boiled eggs, mayonnaise, mustard, and seasoning, and can be served as a side dish, appetizer, or main course. While deviled eggs originated in ancient Rome, the term “deviled” didn’t appear until the 18th century when it was used to describe highly seasoned, fried, or boiled dishes. By the 19th century, the word “deviled” was used to describe hot seasonings in general. Today, not all deviled egg recipes are spicy, but a little cayenne pepper or hot mustard can always give them an extra kick.